If the annexing of Cha Cha Bwoy to the playlist of Home Boyz Radio in Kenya and BBC 1Xtra in the United Kingdom was not a good enough start for the New Year, Dancehall deejay Bramma ‘Di Gorilla’ is definitely upping the ante to enjoy even greater success as the year unfolds. 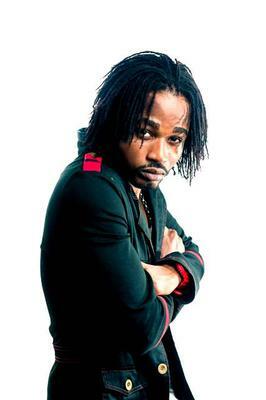 Following last weekend’s update of the very popular HITLIST Video Countdown hosted by CVM Television, it was revealed that Cha Cha Bwoy had clinched the top spot on their ‘On The Rise’ chart making it Bramma’s first official No.1 since his emergence on the Jamaican music scene. The burgeoning star was very elated after receiving the good news via S-Lock Entertainment, his management company. Meanwhile, Bramma is also been confirmed for the upcoming RJR Cross Country Invasion. The island-wide tour which last for several weeks features a number of the group's media personalities along with local entertainers performing at various road shows across the length and breadth of the island. The group's employees also get to show off their athleticism in several sporting disciplines, interspersed with activities for members of the public. The tour is used as a vehicle to nuture talent and bolster the RJR brand.